In a blog post yesterday, Pandora co-founder Tim Westergren announced the Artist Marketing Platform (AMP), designed to help artists and managers obtain more value from data provided by the internet radio giant. 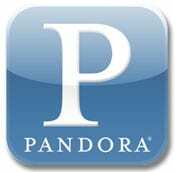 Pandora plays music from more than 125,000 artists. More than 12,000 of those artists have more than 100,000 Pandora listeners that have given feedback, which is now available to the artists in a visual-friendly format. The Pandora AMP personal dashboard highlights key metrics for an artist’s tracks, stations and listeners. It breaks down an artist’s Pandora listeners by number of listeners and by demographics. The dashboard also provides information on how many fans have created a Pandora station based around them or a similar artist. It offers a tally of thumbs up or thumbs down an artist or particular song has received from listeners. Perhaps the most important tool available through AMP is the interactive heat map, which allows musicians to see where people are listening to their music on Pandora across the United States. Performance can be viewed for the past seven, 30, or 90 days.